From the limitless imagination of New York Times and USA Today **bestselling author Julie Kagawa, enter the world of The Iron Fey. Something has always felt slightly off in Meghan’s life, ever since her father disappeared before her eyes when she was six. She has never quite fit in at school…or at home. When a dark stranger begins watching her from afar and her prankster best friend becomes strangely protective of her, Meghan senses that everything she’s known is about to change. But she could never have guessed the truth. 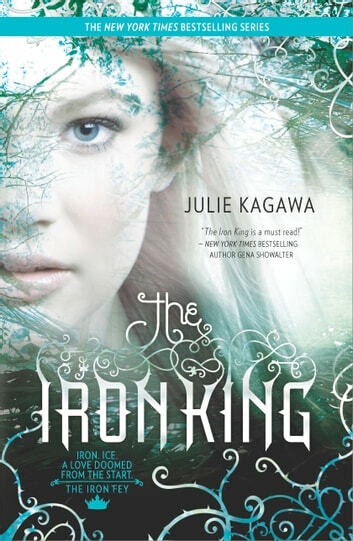 For Meghan is the daughter of a mythical faery king…and a pawn in a deadly war. Now Meghan will learn just how far she’ll go to save someone she cares about, stop a mysterious evil no faery creature dare face…and find love with a young prince who might rather see her dead than let her touch his icy heart. Love this kind of story. I couldn't put the book down. Something new was always happening and it just made you flip to the next page. Then there is the forbidden love and it just makes your heart leap/stop/skip a beat and race. Thank you Julie for writing these awesome books! Fabulous, fun read. Couldn't put it down. New talent. Building new worlds for us to explore and enjoy. Looking forward to the next one. One of the best series I've ever read! This book is GREAT! I love the story line and the characters.